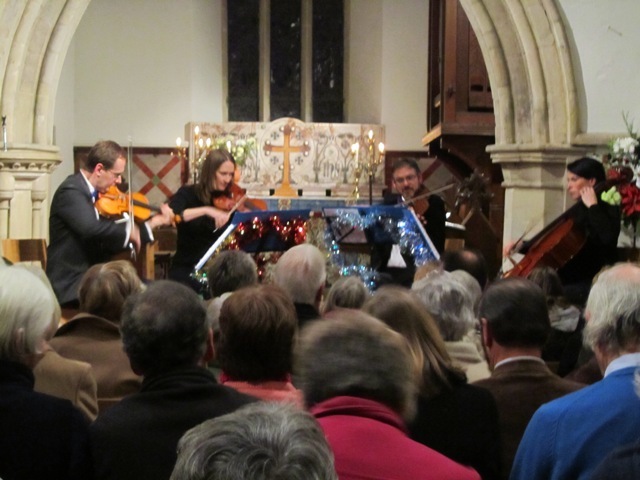 I Saw Three Ships – String Quartet Concert at Cuddington. 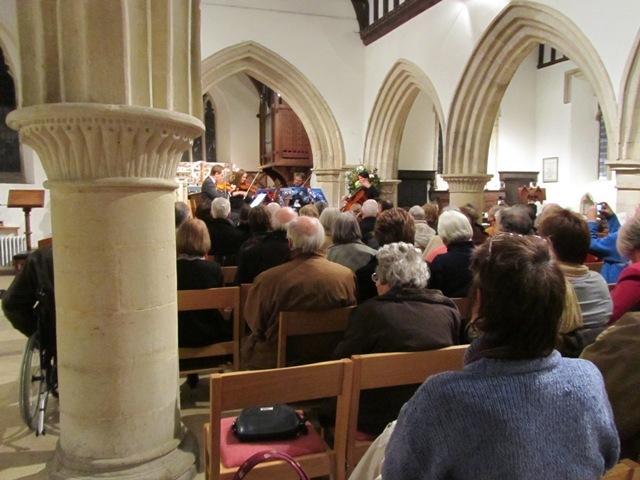 I Saw Three Ships – String Quartet Concert at Cuddington – Last night the Manor House String Quartet returned to play once again at St Nicholas Church in Cuddington – a village near the border between Buckinghamshire and Oxfordshire. Having given a concert back in September in this Church, we were especially keen to return to such an enthusiastic, delightful audience. 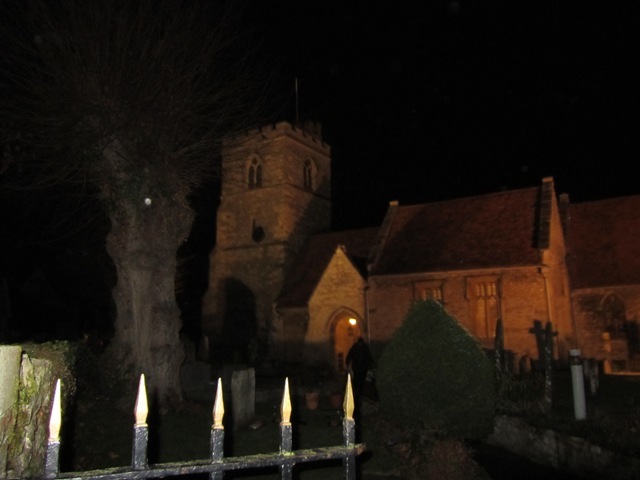 It was a beautiful, clear and frosty night with thousands of bright stars visible and the Church itself looked beautiful, welcoming and¬†illuminated ready for the concert. As usual, we kept the programme light and enjoyable, with a strong emphasis on Christmas music from our two albums ‘I Saw Three Ships and other carols’ and ‘It Came Upon The Midnight Clear and other carols’. We also played some extracts from Handel’s Messiah and an arrangement of Les Patineurs (Skater’s Waltz) in keeping with a wintery theme. Overall, we had an audience of roughly 90 people and thoroughly enjoyed playing for them. As usual, the Church committee (in particular Myles and Caroline Saker) had done a marvellous job in promoting the event and there was catering during the interval with donations to the Friends of Kampala Music School which is an extremely good cause supported by members of the congregation. We enjoyed playing at St. Nicholas very much and are already¬†talking about¬†returning to play another concert there in 2012.